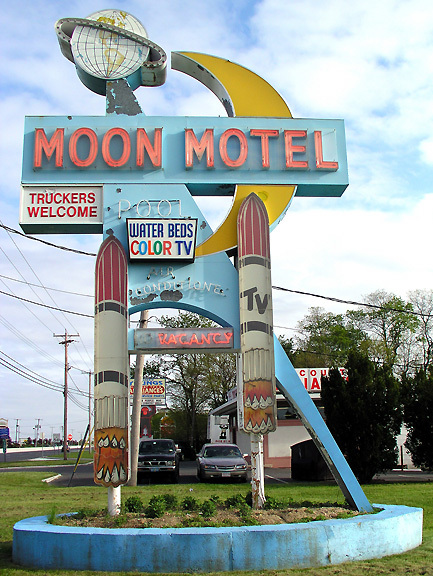 When it seems that you’ve had just about enough of New Jersey, you stumble onto the Moon Motel in Howell. 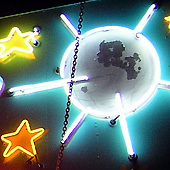 Rumor has it that the Moon borrowed its theme from a nearby amusement park. 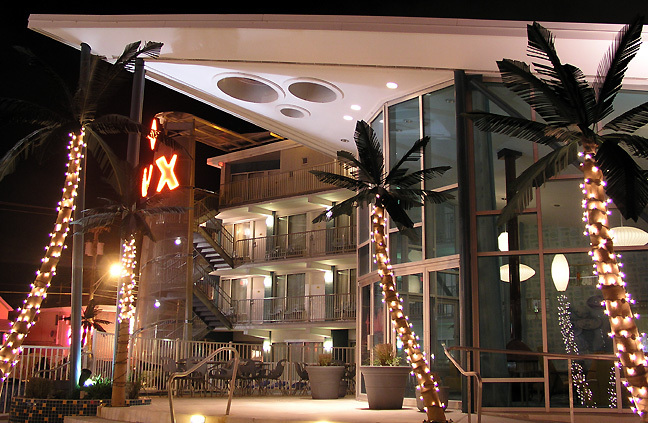 Today, you’ll find little of that kind of space age wonder remains. 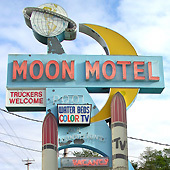 Even so, the glowing rockets, plastic satellite, and ringed earth provide a stunning example of motel signage that may easily be classed among the top ten in the nation. 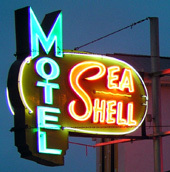 Just don’t plan on staying overnight. 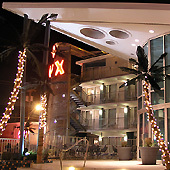 If you can afford it, you should aim for the heart of the dream: The Starlux boutique motel. 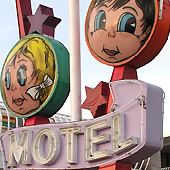 There, folks have placed lava lamps in the rooms, begun to rent out Airstream trailers, and opened an all-glass lounge filled with books about googie, populux, doo-wop, and every other variation of Wildwood design. 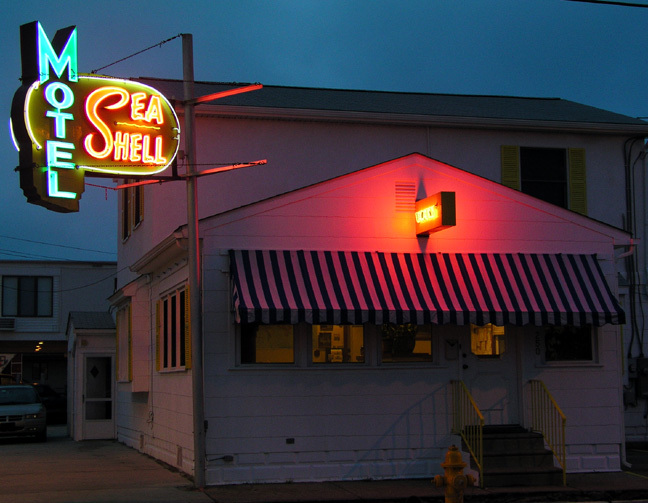 You’ll pay dearly, but you’ll not soon forget the glorious neon, the crazy clash of colors, and the friendly staff. 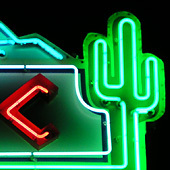 One day at least, park your clunker at the Starlux and pretend you’re driving a Caddy with the top down.